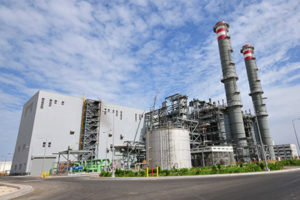 Japan’s Mitsubishi Hitachi Power Systems, Ltd. (MHPS) has won the contract to renew Cairo West natural gas and heavy fuel oil-fired thermal power plant. The contract is awarded by Egypt’s Cairo Electricity Production Company (CEPC) for the rehabilitation of the power station, which is made of four existing power generation boilers with a rated output of 1,360 MW. Under the contract, MHPS will renew the boilers in a bid to extend their lifetime and enhance their reliability, Asia One reports. The project will help stabilize power output for the Egyptian capital where the demand is quite high. MHPS according to the media will manufacture the boiler components at its Kure Works whereas its Egypt subsidiary will supply engineers for the renewal operation and trial operation. The plant, one of Cairo’s numerous power suppliers is located at around 16km northwest of Cairo, and is operated by CEPC. MHPS, formed in 2014, operates in thermal power generation systems businesses of Mitsubishi Heavy Industries. The company seeks to deepen its foothold in thermal power generation systems and environmental technologies. Written by: KanelkaTagba on May 16, 2018. Posted by KanelkaTagba on May 16 2018. Filed under Energy, Headlines. You can follow any responses to this entry through the RSS 2.0. Both comments and pings are currently closed.